There’s a developing focus on women who are #killingit in in music these days, but not a whole lot is given away as to how they got to where they are. 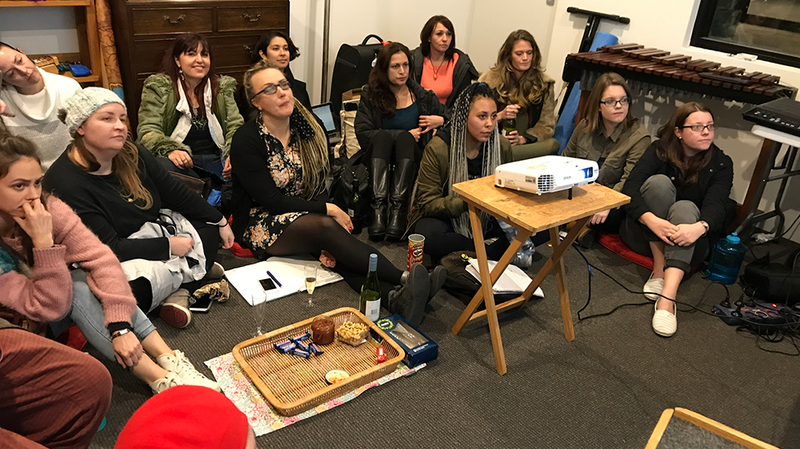 For the November instalment of our new column Make Way, XANTHEA O’CONNOR immersed herself in the wonderful world of Women Of Music Production Perth (WOMPP), and the fast growing supportive and accessible networks built by women, for women. It was just after 9pm on a Friday this November when Jamilla (pictured), an artist new to me and indeed, most of her home town took to The Bird stage for the Women of Music Production Perth (WOMPP) showcase. The crowd that had been eagerly milling in the room watched on rapturously as tender and intimate projections of women complimented one of the strongest debut performances of a musical body of work I had ever witnessed. In between tracks, Jamilla explained that the footage was of her close friends; a celebration of her love for them. This was a space clearly created by women, with the intention of creating a supportive, fostering and empowering space for their peers in music production. “I want to meet some artists that are similar. I’m really feeling a lack of that. I want an alliance,” Taylor laughed. Having created WOMPP and been invited and attended this year’s Ableton Loop in Berlin, these two women seem to have truly lived the year they dreamed of. I first met Jamilla and a number of other producers at the WOMPP meetup a few days before the showcase. I walked down a driveway towards familiar voices and inside a repurposed Bicton garage, surrounded by percussion instruments and production gear. As women arrived and sat on cushions surrounding an unexpectedly lavish indoor picnic, I was surprised to see very few familiar faces; women coming out of the woodwork that perhaps had not felt as at home in the heft of the local scene. Elise walked us through some sampling techniques using Ableton and then she and Rosie were the first to share a new Feels track that they’d been working on. The night rolled on organically; conversation and questions bouncing between us all easily. When it came to sharing tracks, individual stems were pulled out and analysed at whim, dissecting its sonic anatomy and giving real insight into the creative process of each musician. 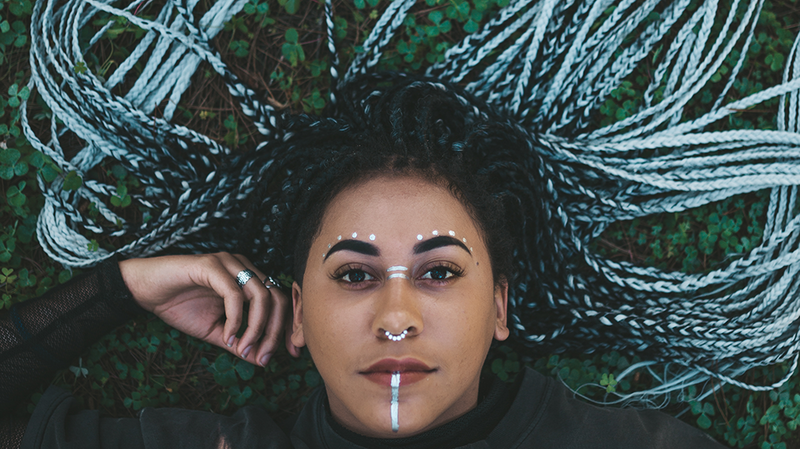 One artist Zenya who shared a track that she was working on, had just that month started regular informal Ableton lessons with another producer she had met at WOMPP. Around the room were proud smiles and affectionate reminiscing of months before when she was playing disorganised stems from her phone and laptop. “You come into this industry being passionate about making music; bright eyed and bushy tailed, but you end up feeling absolutely shattered and destroyed by people in the industry.” Zenya said to me later. Groups that are specifically designed or created by women are often assumed to be inherently political; demanding energy for wide sweeping debates on gender politics. While these groups definitely have their place in feminism, this does not appear to be WOMPP’s primary focus. Instead, they are a group where women are not only being incredibly generous with their knowledge, but nurturing space around each other that promotes play and experimentation in music. Across the desert, Girls Rock! Melbourne is thriving and the MESS’ Introduction to Synthesis for Women and GNC People are selling out months in advance. The Process Sonic Forum ran for the first time in Melbourne this year, which included a workshop by Rainbow Chan where she dissected a track from her album and created a whole other song with us, using only sounds recorded on our phones in the lecture theatre. Women everywhere are showing us what’s behind the curtain, yet there are few groups that embraced this as holistically and successfully as WOMPP, with regular meetings and showcases that are accessible to all ages and abilities. Spaces like WOMPP are incredibly rare and valuable resources and we’re lucky to have one so progressive and accessible right in our backyard. 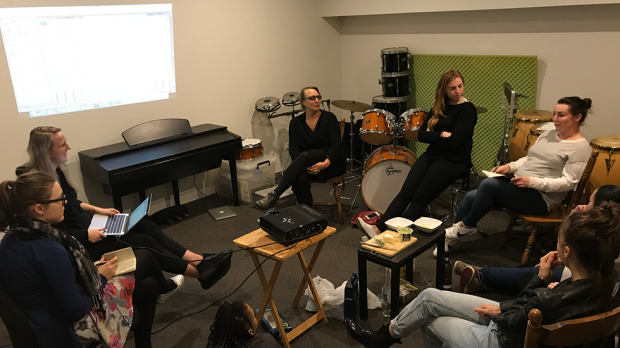 If you’re a woman in Perth who’s involved or simply interested in music production at any proficiency, I couldn’t encourage you more to show up to the next WOMPP meeting. You can get in touch with WOMPP by contacting them through their facebook page. Follow for the announcement of their first 2018 showcase, or message the page for details of their next monthly meetup in early December.